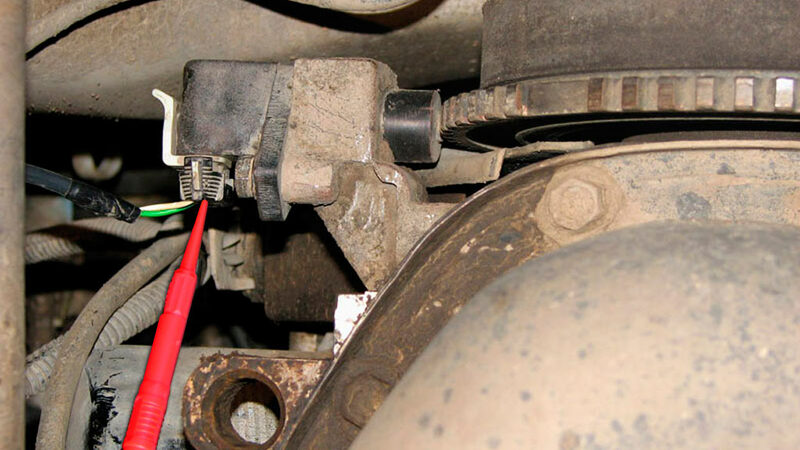 Typical location of the crankshaft position sensor. 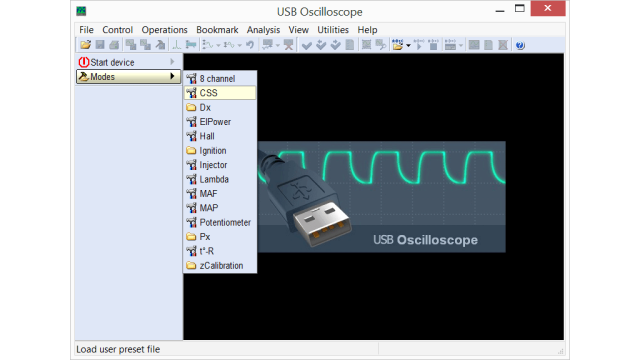 Setting the USB Autoscope IV to view the signal from the crankshaft position sensor. 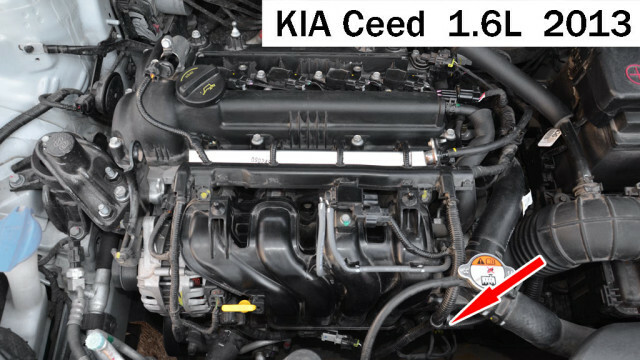 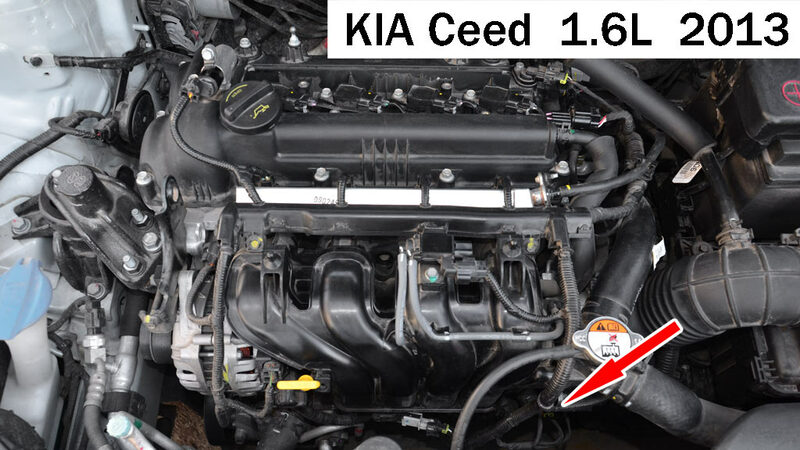 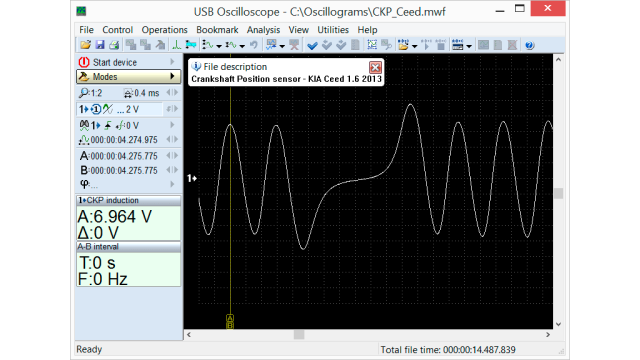 Output voltage waveform from a variable reluctance crankshaft position sensor in good condition on KIA Ceed 1.6 2013, recorded while the engine was at idle. Output voltage waveform from a Hall effect type sensor in good condition on a Hyundai Elantra 2.0 2008, recorded while the engine was at idle.